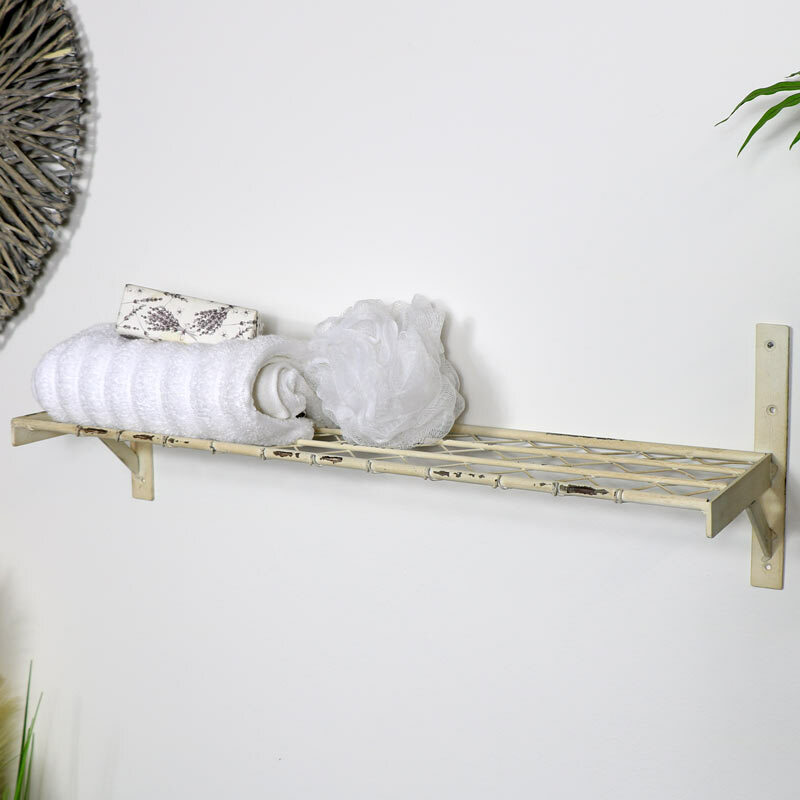 Cream metal wall shelf in vintage country cottage inspired design. Ideal for the kitchen or bathroom. Single metal shelving display for holding lotions, potions, bottles or jars. Wall mounted with mesh wire design on the shelf. 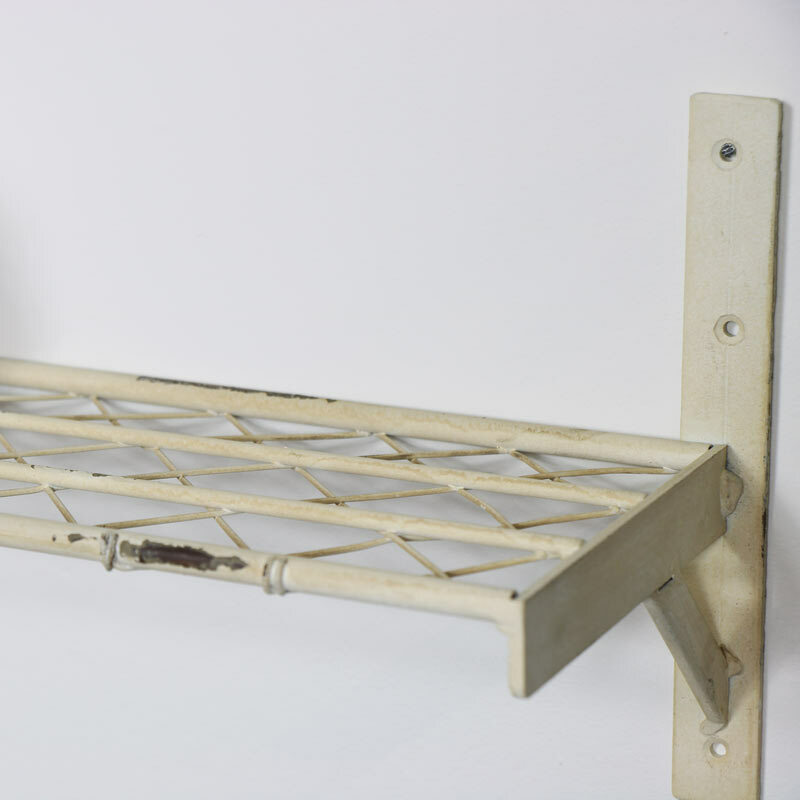 Cream metal wall shelf in vintage country cottage inspired design. Ideal for the kitchen or bathroom. Single metal shelving display for holding lotions, potions, bottles or jars. Wall mounted with mesh wire design on the shelf. Made from metal in a cream painted finish. Easily wall mounted with 6 screws (not included).